A few projects here and there have kept me busy and away from my blog but I’m back. I’ve missed it! It is June and we are going through the month of Ramadan at the moment here in Iran. Time and time again people have asked me how hard it is, living in Iran during Ramadan. As you may know Ramadan is the month that muslims around the word fast. It is one of the pillars of Islam and it is a time of spiritual observation and physical sacrifice. By fasting you empathise with those who are less fortunate and you are expected to become more charitable and kind. Fasting starts at dawn and ends at sunset. During the day devout muslims abstain from eating and drinking. When the sun sets families and friends gather together for Iftar or breaking of the fast either at home or in restaurants. 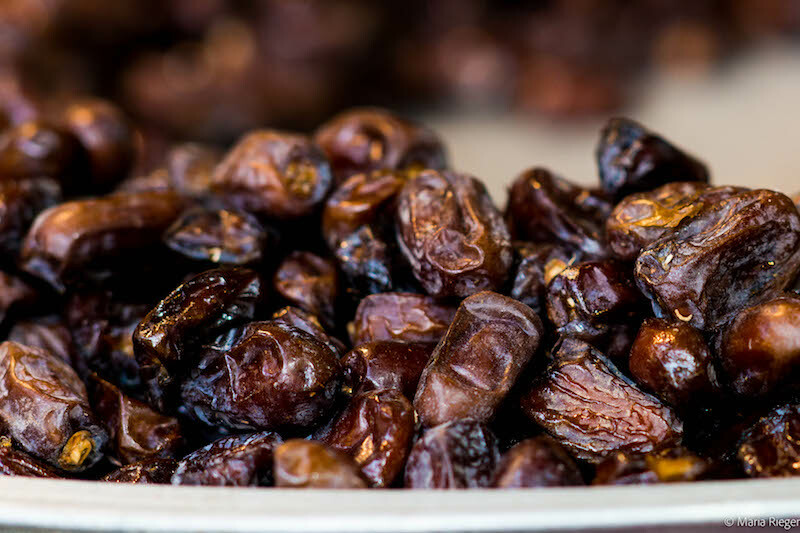 Often the first food eaten to break the fast is dates and in Iran we can find a wonderful variety of dates. Their sweetness and nourishment sits well on an empty stomach and prepares your body for the feast to come. As a non muslim I don’t need to fast but of course as a sign of respect, I don’t eat or drink in public during the day. So getting back to the original question of how hard it is, I can assure you it is not that hard. Even when I travel in the country during Ramadan, I can always find restaurants which serve food during the day. This is because travelers are not expected to fast, the same for old people, pregnant women, sick people and children under 12 years old. More important the kindness I have found as a foreigner during Ramadan has been very touching. Around this time last year we were in Tabriz, a very nice city in the North of the country. Although it was far from the soaring temperatures in Tehran, it was still a warm, sunny day. We were walking towards the center to visit some museums. Suddenly a man greeted us, Salam he said. We repeated the greeting. Then he approached my husband. I stopped a few meters ahead wondering what he wanted. I thought maybe he wanted to sell us something. Looking at the few shops in the street, I wondered what it could be but I was sure my husband would politely explain we had places to visit. Then surprisingly I heard my husband answer ok, we will be happy to. He made me and our daughter a sign to follow them. We went down a few steps to an alleyway where I could only see several workshops. I was even more intrigued when we followed the man to what looked like a repair workshop for old Singer sewing machines. 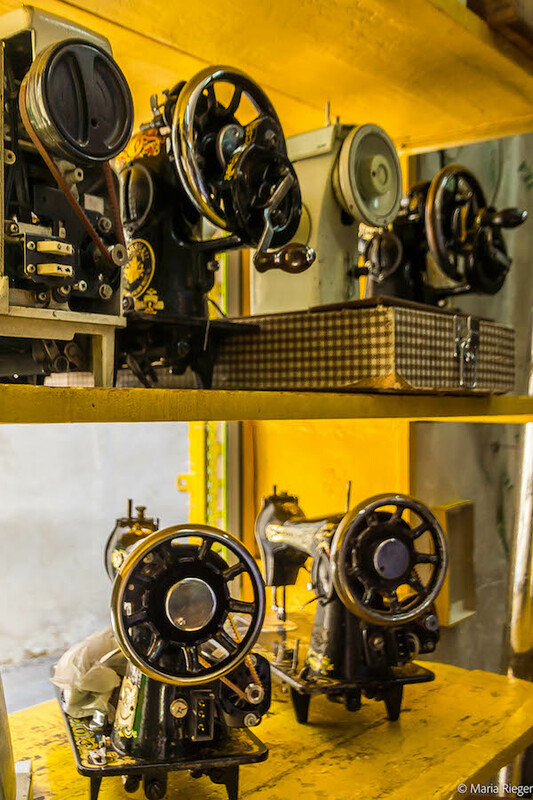 I’m not the sewing type at all and confess I never used a Singer although my mother owned one for many years when I was a child. Looking inquisitively at my husband and thinking he had lost his mind, he told me to wait and see. It was then that the man who later introduced himself as Mr. Ali Yousefi, explained why he had stopped us. He started by generously offering us tea and toffees. We told him, we did not want to as it was Ramadan and we respected the rules. He told us not to worry about that. We were foreigners, travelers and we had a beautiful child who in that hot day should have something nourishing. And so should we, he wanted us to have strength for our planned visits. He showed us a notebook where he collects foreigners’ comments and signatures. He explained this gives him an opportunity to meet visitors from different countries. I asked him about his trade and family. 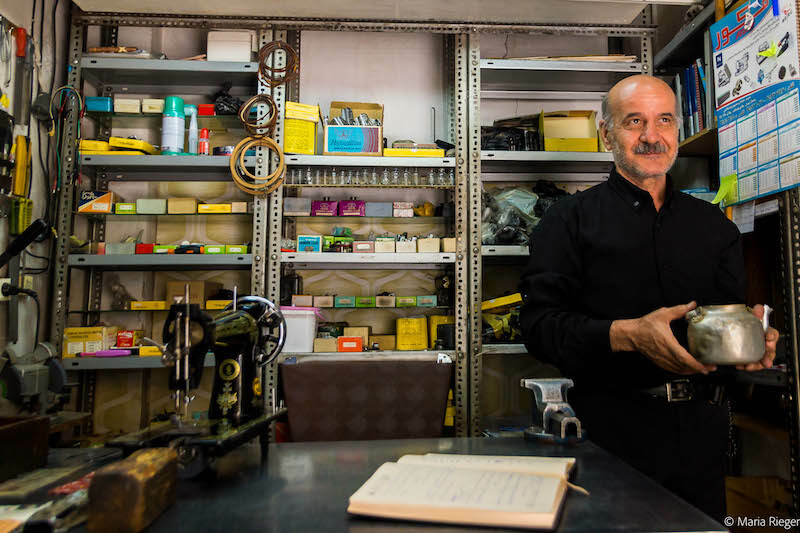 He told me he had two grown up sons and that he had been repairing sewing machines for 53 years. Not having had the opportunity to study like he wanted to, the little English he knew was self taught. He showed us another notebook where he practices writing basic words in English with their meaning in Farsi beside. He even attempts to translate word by word the comments left by the foreigners that pass through. This is how he builds his vocabulary and grammar. It is amazing how well he could communicate just by his hard work and effort. I read some of the comments in the languages I can speak and everyone made comments about his kindness to strangers. Telling him about our plans, he brought a map to locate the city landmarks and make other suggestions. 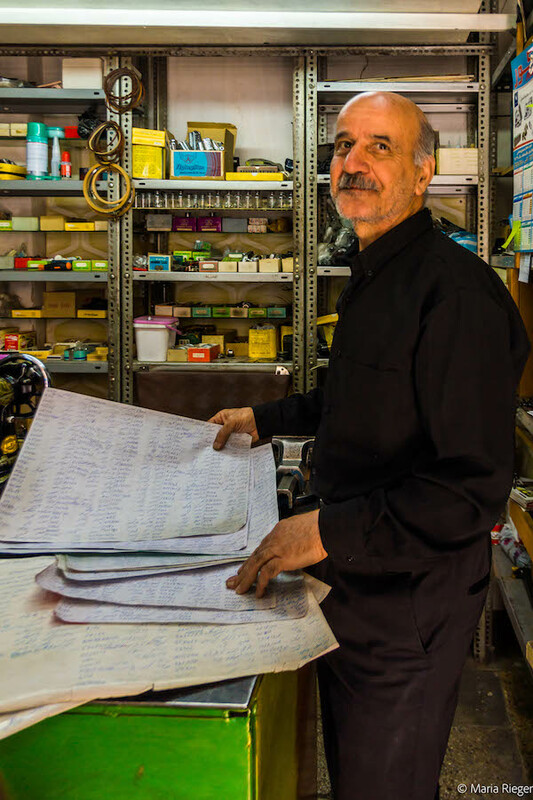 He also emphasized that because of Ramadan and in case we did not find any food, we could always return to his shop and have more tea and sweets. After leaving our comments in his book, I told him, his was a beautiful and great country to visit. He replied that what made it great were the foreign visitors and the opportunity to welcome people like us, who took the time to stop and meet its people. He moved me. His welcoming smile, his generous invitation to his shop not only to meet us but also to provide us as non muslims with a comforting drink and sweets during Ramadan. His eagerness to learn more in order to communicate better with foreign visitors was admirable. When we bid farewell I told him how grateful we were for always feeling welcomed in Iran. This year when Ramadan started we were traveling again, this time with my mother in law who came to visit. We went to beautiful Isfahan, a city we already knew from previous visits. One of our favorite things is walking in the bazar and enjoying its atmosphere. It is usually bustling with people and in spite of Ramadan and being morning, things were starting to pick up. We were walking at a slow pace and I was taking pictures here and there when suddenly I saw him. We had just passed him but I can’t explain why I felt I needed to go back. Maybe it was his dignified posture in spite of his bent back or his hopeful look, patiently waiting. He was sitting on the ground and had five handmade carpets at his feet. When we approached we could smell the intense odor of sheep wool. As he was sitting just next to a shop. I looked inside and saw a young man who looked liked he may speak English. When I asked, he said yes. I bade him to ask the old man how much were the carpets. He looked at me surprised and said if I was sure, these were a bit smelly. I said yes. When he asked the price, the old man got up excited. He told us to follow him away from the corner and showed us all his carpets. I chose one, he said it was the equivalent to about 9 euros. I agreed, without bargaining. My mother in law decided to buy another one. My husband knows me well and said he was willing to carry the smelly carpet all over Isfahan for a good deed. We said goodbye and he thanked us. He was left with three carpets awaiting the next good samaritan. Having been able to do this during the month of Ramadan made me feel I was giving back a bit of the kindness that we have felt since we arrived in Iran. It should go both ways. 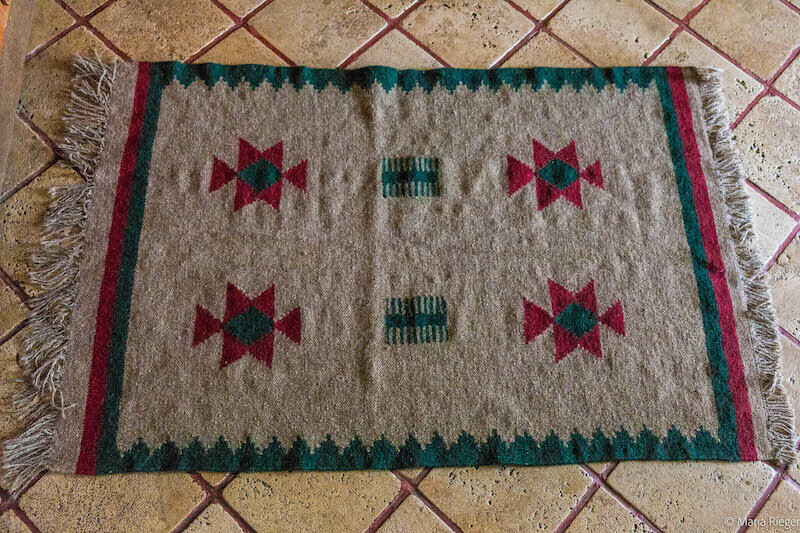 His carpet has been lying on my kitchen floor and although it has been washed, it still has a slight sheep scent, a small reminder of its origins and the dignified old man who sold it to me. In spite of his age it is important for him to feel he can still feed his family. 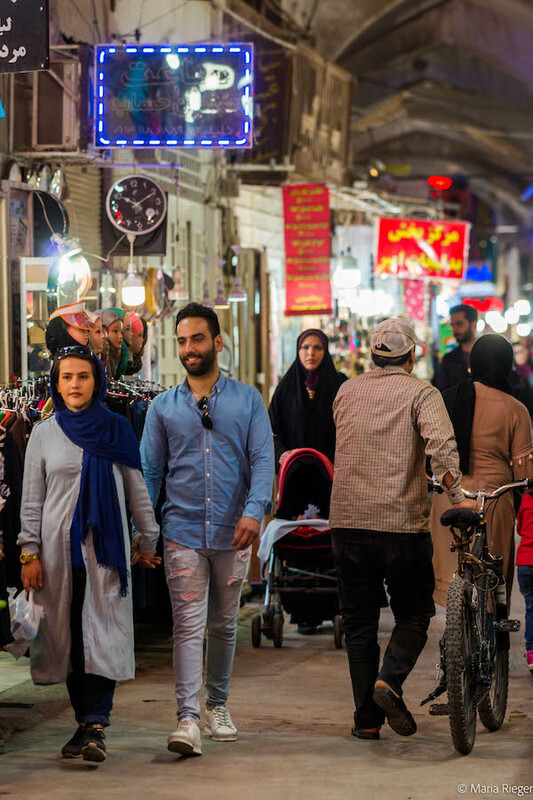 So if you happen to travel to Iran during Ramadan, although there are a few limitations, you can still enjoy your visit. More important if you take the time, you will also experience the kindness of its people. 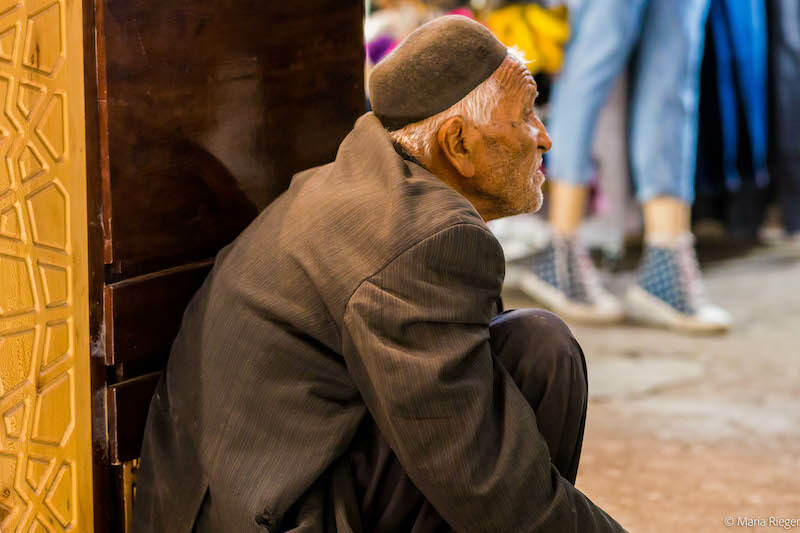 And if you happen to visit Isfahan’s Grand Bazar, look out for old men and old ladies who sit with a few carpets and try to still make a living. Maybe you don’t need a carpet but you can still find a small space in your home and make their day. Thank you so much Luisa!